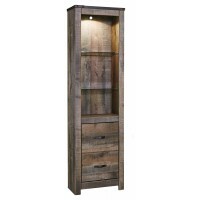 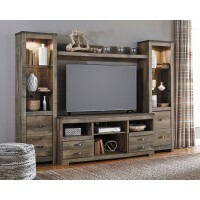 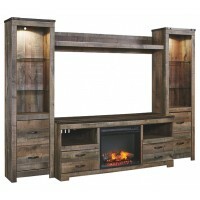 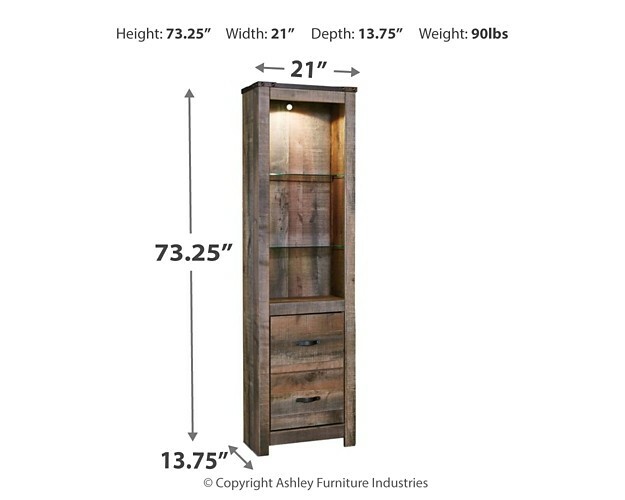 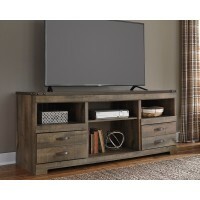 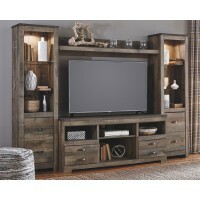 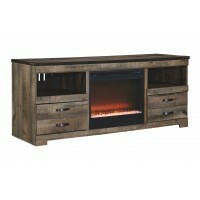 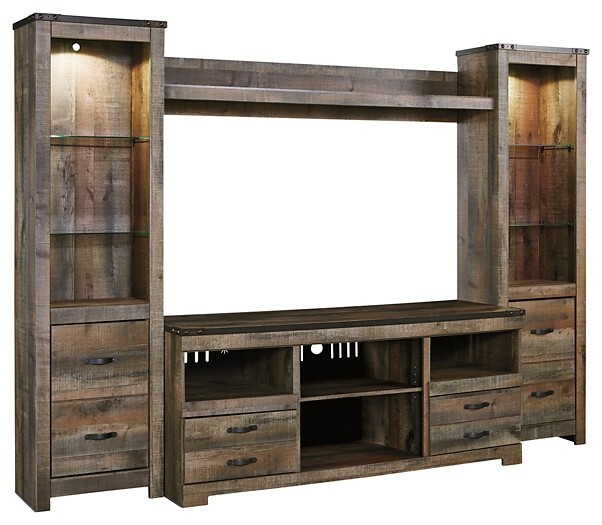 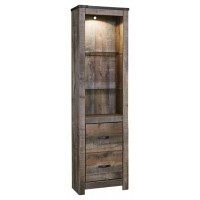 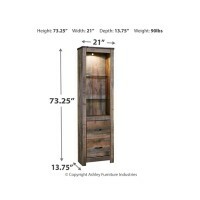 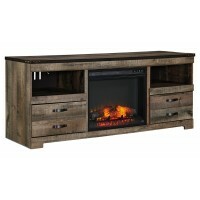 Entertain a rugged yet refined sense of style with this entertainment center pier. 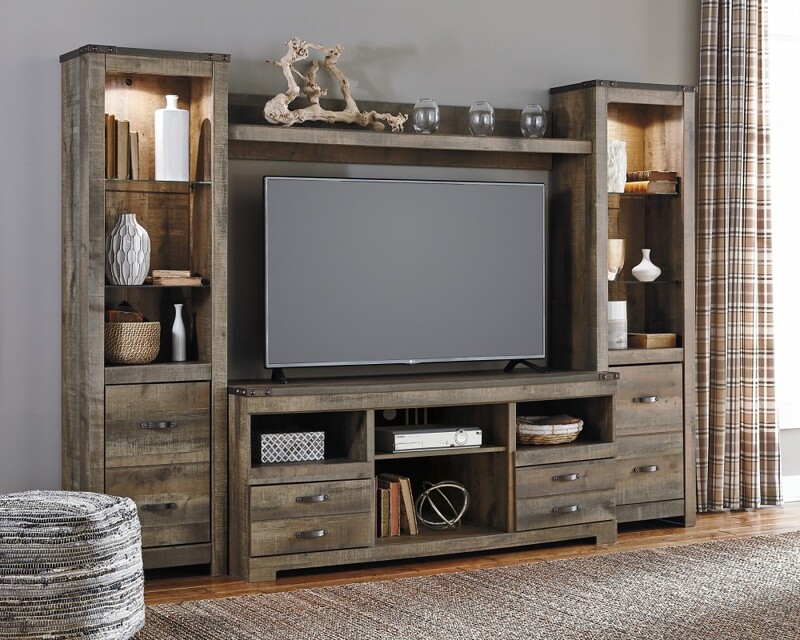 Rustic finish and plank-style details pay homage to reclaimed barn wood, while metal banding with nailhead accents infuses a touch of industrial cool. Ultra clean lines ensure a look that can go from the country to the city and feel equally at home.